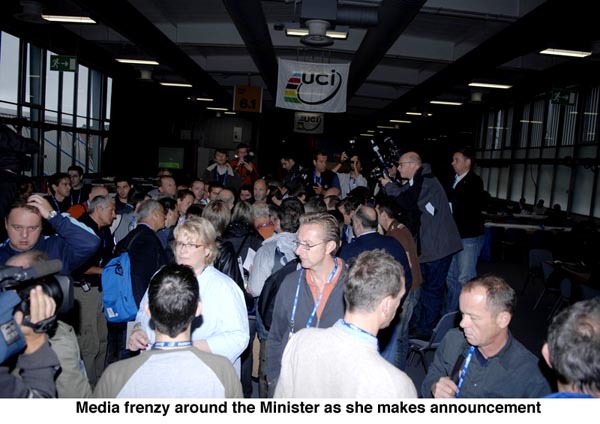 Bettini has not signed the UCI Declaration. Bettini has still refused to sign the UCI declaration, which allows the use of his DNA, claiming it violates his human rights. According to McQuaid, this is a voluntary process, and while he is disappointed, Bettini can race. "He has not signed the Declaration. It is my position that it is incumbent on every rider and federation to take action to do everything that will help the sport. He has still refused to sign (note: he did submit a modified version through his lawyer, but it has been rejected by the UCI). We don't have the right to stop riders from starting the race. This is based on ethics, and it is not a legally binding document." 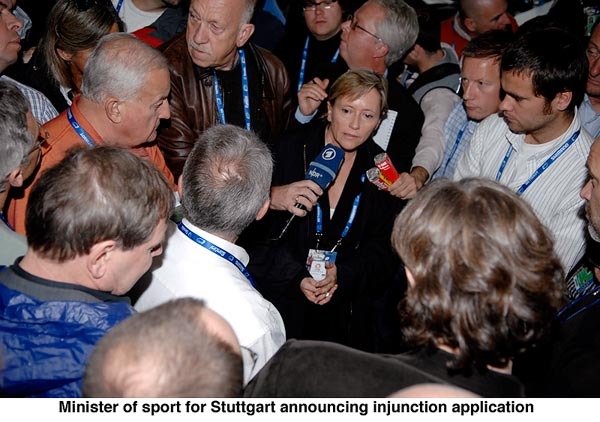 Today the City of Stuttgart has gone forward with an attempt at making it legal. The Minister for Sport announced this morning that the city has gone to a judge and filed a court injunction to prevent Bettini from racing on Sunday.